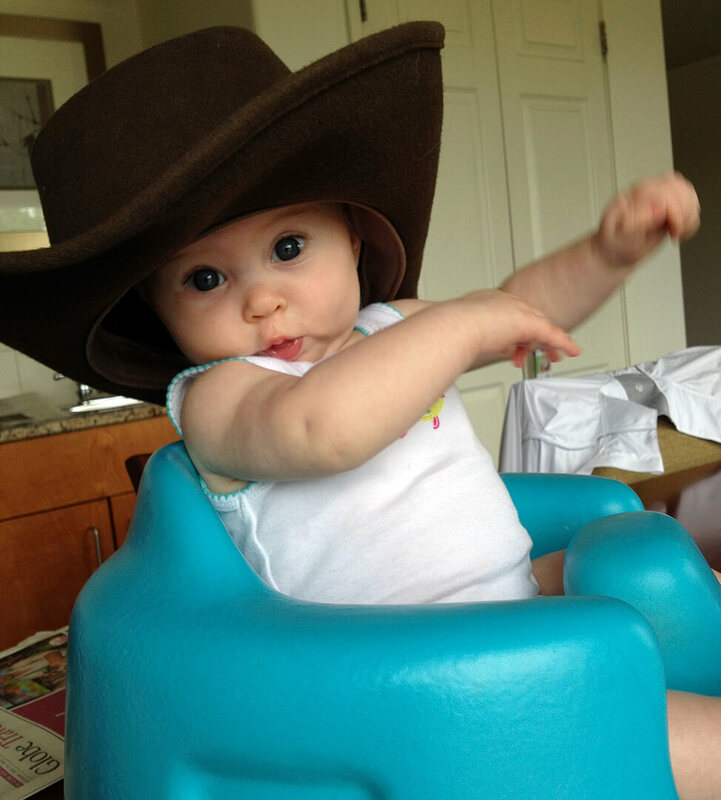 Cela was about five months old at her first Calgary Stampede. 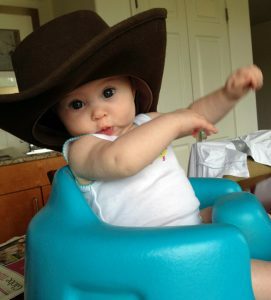 Determined to sit on her own, and wear her Papa’s much-to-big cowboy hat she was the picture of joy in her Bumbo chair. As new parents, soaking up every cute moment, we nearly laughed out a lung watching her excitedly move about like she was rodeo ready. 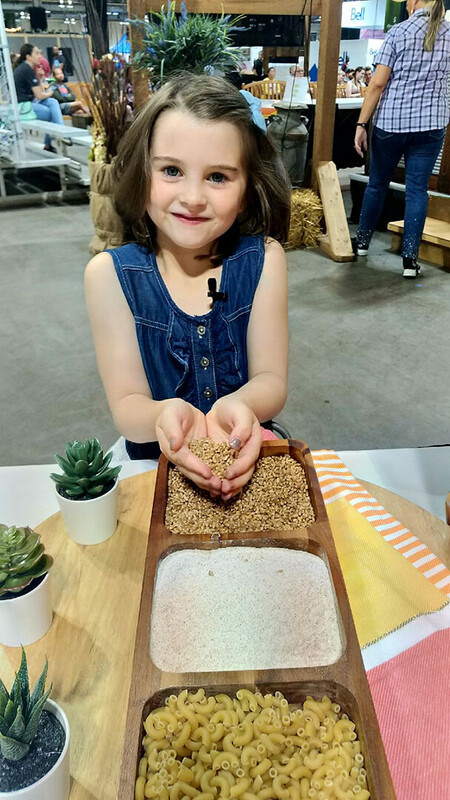 Fast forward five and a half years, and Cela is standing next to me on the Calgary Stampede Kitchen Theatre stage about to demo one of her favourite summer recipes to a happy crowd. 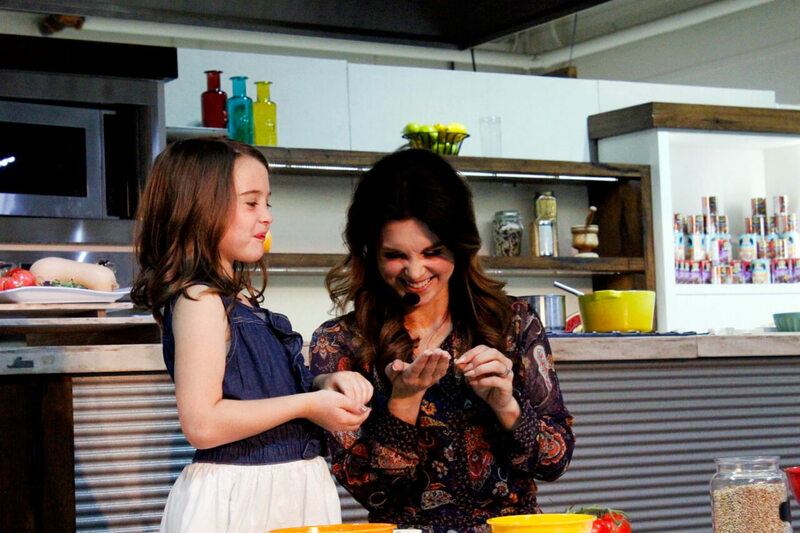 It was a special full-circle moment for me as a Mama, and for Cela as a budding chef, and full-on GetJoyfull ambassador. Little did we know a few years ago that one day we’d be able to share a message of food joy, and quality eats with so many. 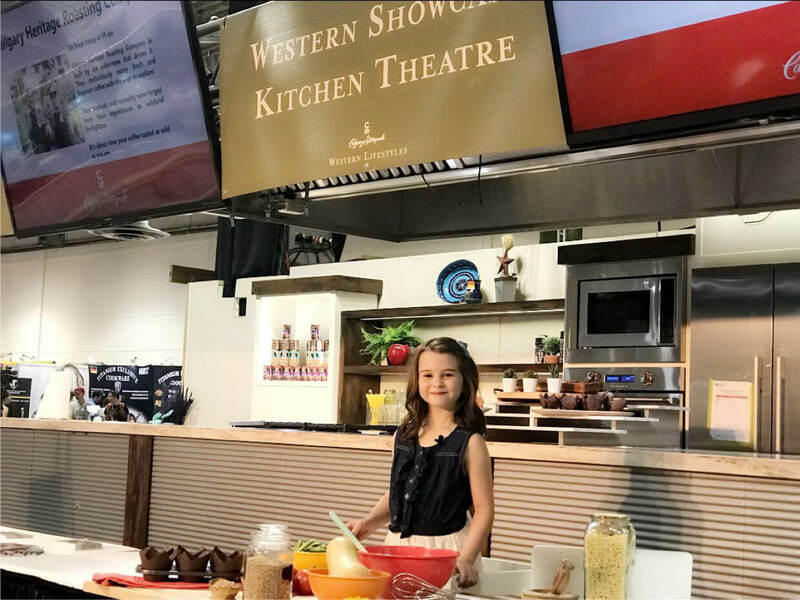 But thanks to our friends at Life’s Simple Ingredient, who also share a passion for empowering kids to cook, and enjoy — we did just that! Since Cela was old enough to hold a spatula we’ve been making memories in the kitchen. I guess you could say that her kitchen confidence wasn’t something that sprouted overnight, but grew more over time. 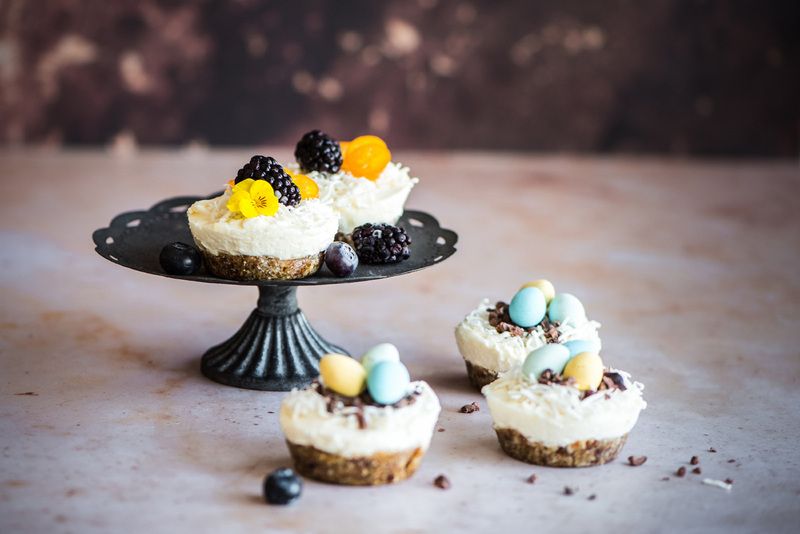 Time spent cracking eggs, baking BooBoo’s birthday cake, grating carrots, and most recently crafting a roux-based cheese sauce from scratch! Stirring her heart out for Boo. 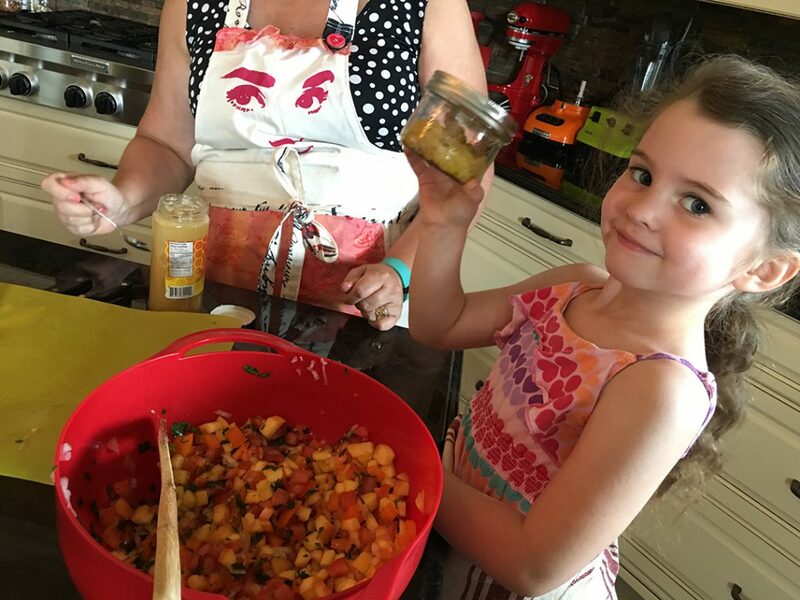 Whipping up fresh salsa with Auntie Marie. Use equal parts flour, and butter when starting your roux. Stir constantly, and carefully so the mixture doesn’t burn. Warm milk before adding it to the flour, and butter. This will help everything thicken quickly, and evenly. Remove thickened mixture from heat before adding grated cheese. Stir, and let the cheese gently melt so it doesn’t overheat, and separate. 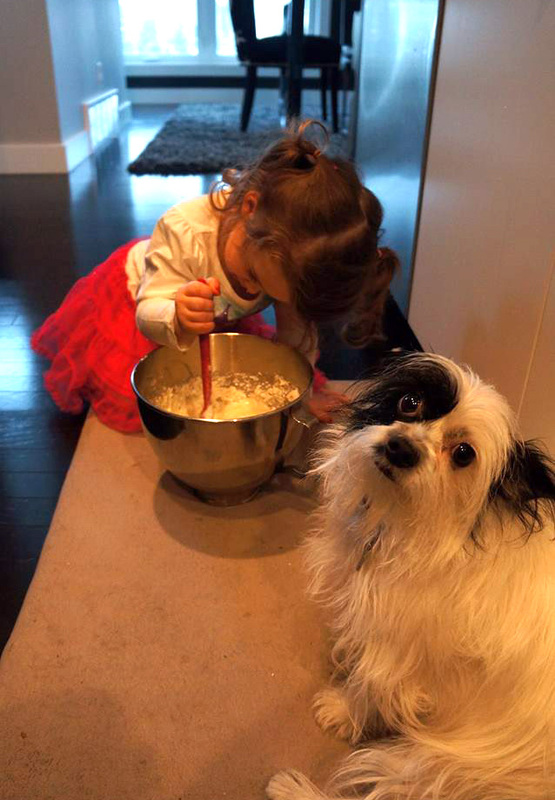 Lately Cela daydreams about her own “baking studio,” and being able to fly solo in the kitchen without my watchful eye. I’m both excited, and fearful for that day to come. I know she won’t always need me to chop, measure, or stir. However, if she’s anything like her (messy) Mama she’ll always need a helpful hand to clean up the flour on the floor, and the dishes in the sink. And I’m cool with that! 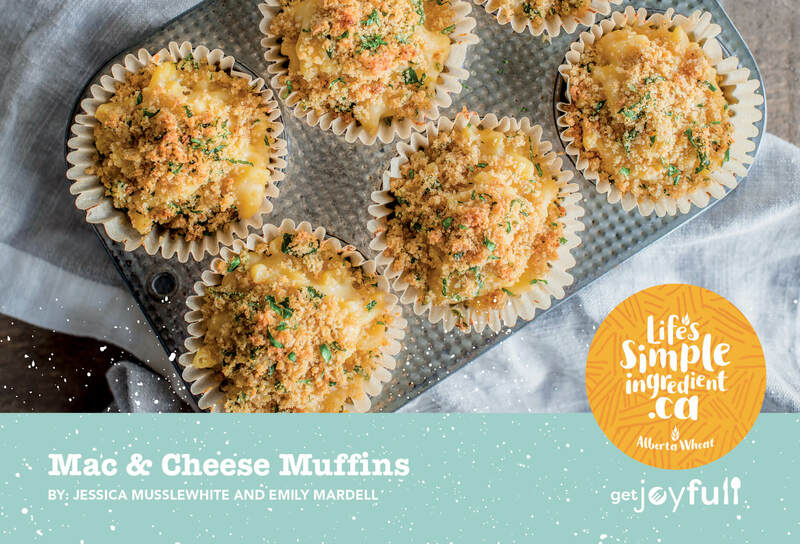 Our “Mac & Cheese Muffins” were a huge hit at Stampede. Maybe that’s the true lesson, and takeaway. 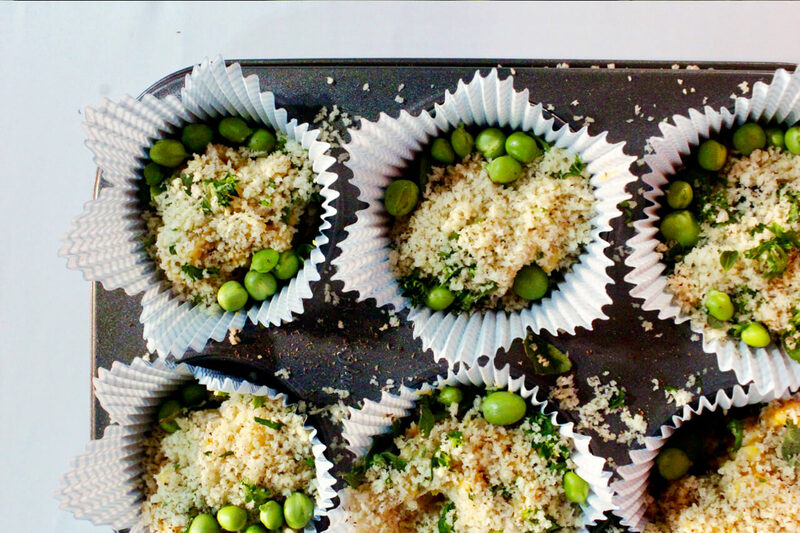 Find a recipe you like, and infuse a little “you,” to make it a recipe you love. 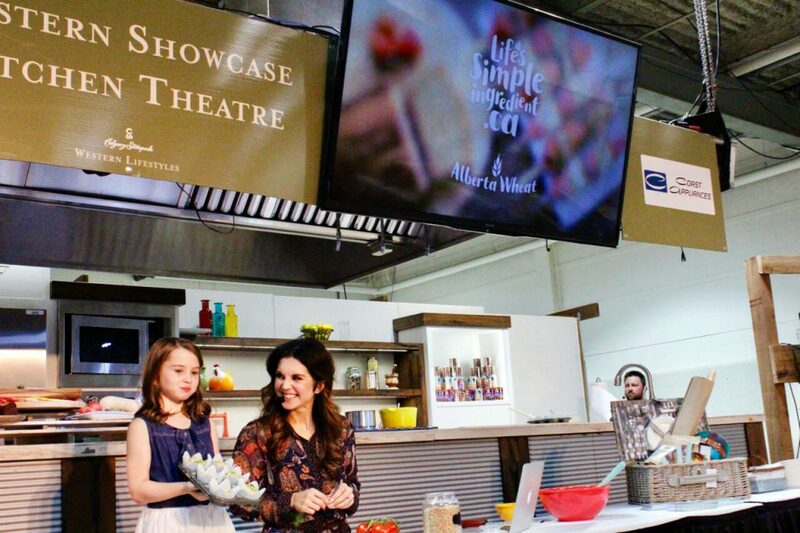 We’d like to thank Life’s Simple Ingredient for helping make this experience, and post possible. 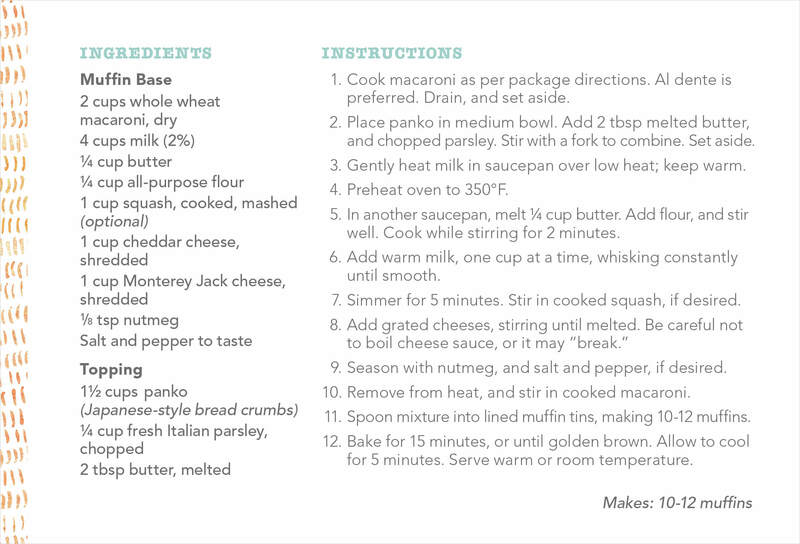 Be sure to Tweet, and tag us in your mac & cheese creations. We love to see your food joy, and how you fill up on family time!